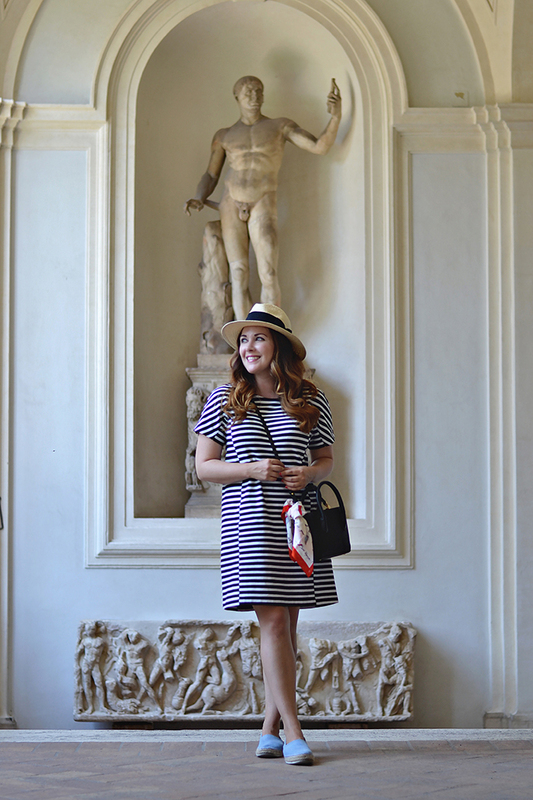 I have basically lived in this J.Crew striped cotton/spandex dress all summer, especially when traveling around hot, crowded cities like Rome. 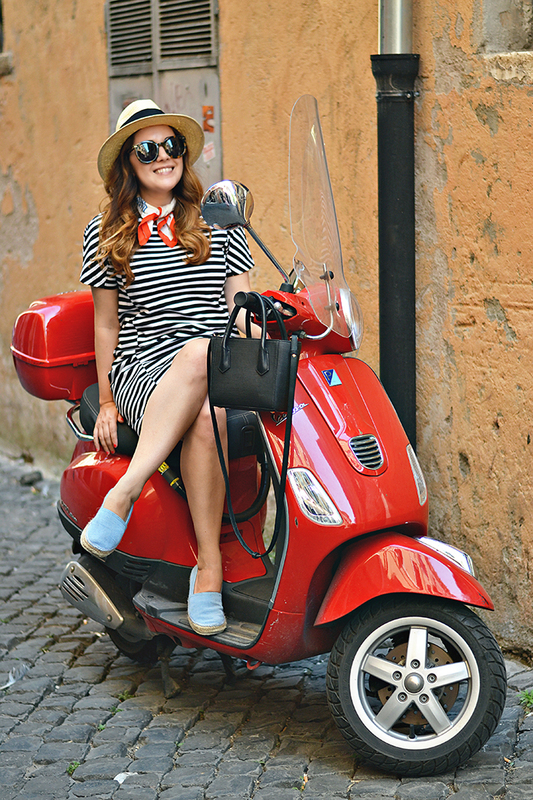 It was the perfect dress for a day trip to Rome last month. Jen and I headed to Rome for the day to explore an early modern museum of science and medicine and to make a quick pilgrimage to the Corsini Palace, the house where Jen's favorite designer (Elsa Schiaparelli) was born. 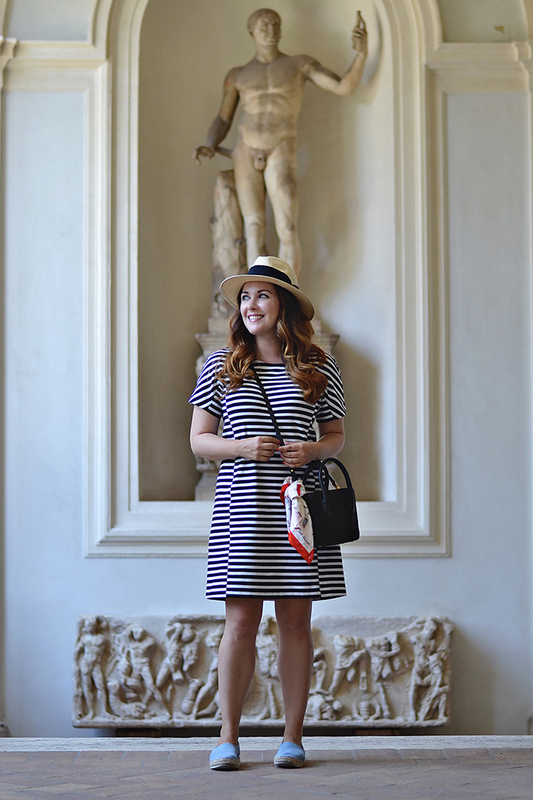 Easy to wear, lightweight, and stylish (thanks to the stripes), this dress meets all of my travel requirements. I probably wear it a bit too much, but there is nothing better then an comfortable dress that you still feel good in. This dress will also easily transition into fall with a great utility jacket. Unfortunately, my favorite travel dress is no longer available, but I have linked some other great options below.